GSTR-5 is a return form that has to be filed by a non-resident foreign taxpayer who is registered under GST for the period during which they carry out businesses transactions in India. This can either be done online or from a tax facilitation centre. This form contains the details of all outward supplies (i.e., sales) and inward supplies (i.e., purchases) made and received by the non-resident taxpayer. 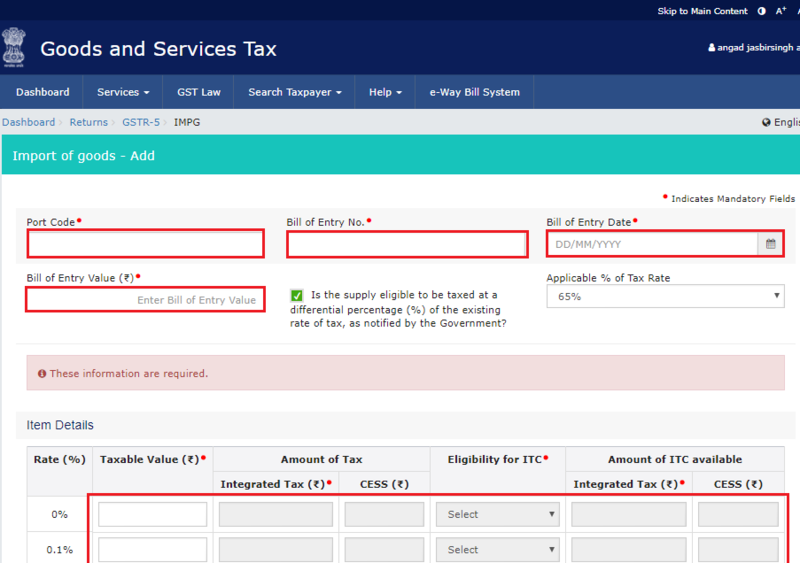 GSTR 5 has to be filed and the tax (including penalty, fees, interest, etc.) is to be paid every month (for the registration period) by 20th of the next month for a particular tax period or within seven days after the end of the validity period of registration. 1. Taxpayer should be registered as Non-Resident taxable person and should have a valid GSTIN. 2. Taxpayer should have valid User ID and password. 3. Taxpayer should have valid & non-expired / non-revoked Digital Signature Certificate (DSC) in case of Taxpayer for whom digital signing is mandatory such as Companies, LLP/FLLP, in other cases authentication of return can be done through EVC. The “File Returns” page is displayed. Select the Financial Year & Return Filing Period (Month) for which you want to file the return from the drop-down list. 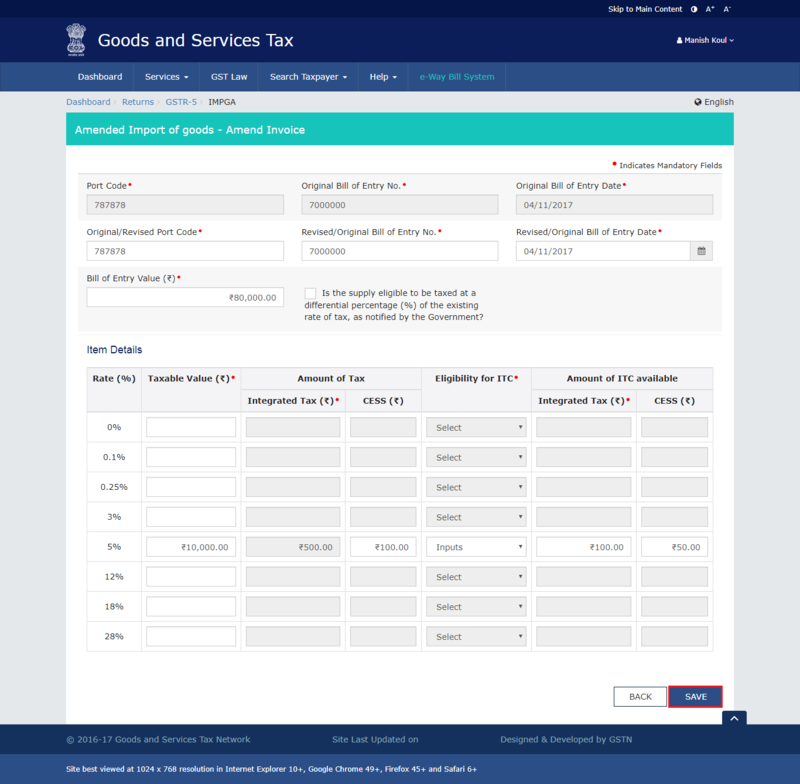 Click the “PREPARE ONLINE” button on the GSTR-5 tile to prepare the return. 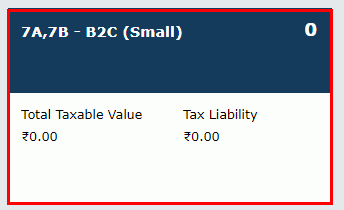 Click the GENERATE GSTR-5 SUMMARY button found at the bottom of the GSTR-5 page. 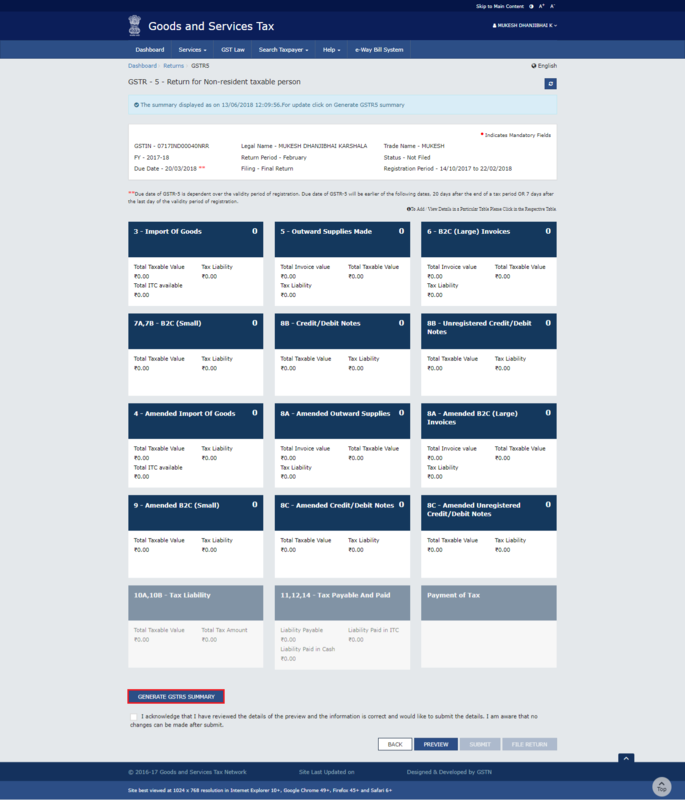 The details of auto drafted supplies of goods or services page are displayed. In case of Intra-State transaction, Fields for Central Tax and State/UT Tax will appear. In case of Inter-State transaction, Fields for Integrated Tax will appear. 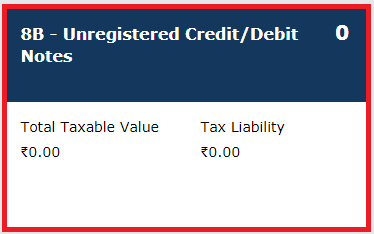 CESS amount has to be entered manually. Receiver’s GSTIN /UIN. Note that Name, Place of supply(PoS) and supply type is auto-populated. Edit PoS if required. Each Tax rate appears as a line item against which value needs to be entered. If concessional tax rate is applicable, Tick mark the checkbox “Is the supply eligible to be taxed at a differential percentage (%) of the existing rate of tax, as notified by the Government?” and enter the applicable % of the total tax rate. For example: Leased Car which is taxed at 65% of the original tax rate. It is optional. Step-4: Click ‘BACK’ button to go back to the summary page or Click ‘ADD DETAILS’ to add more invoices. Summary page can either be of pending invoices or of processed invoices depending upon the tile. 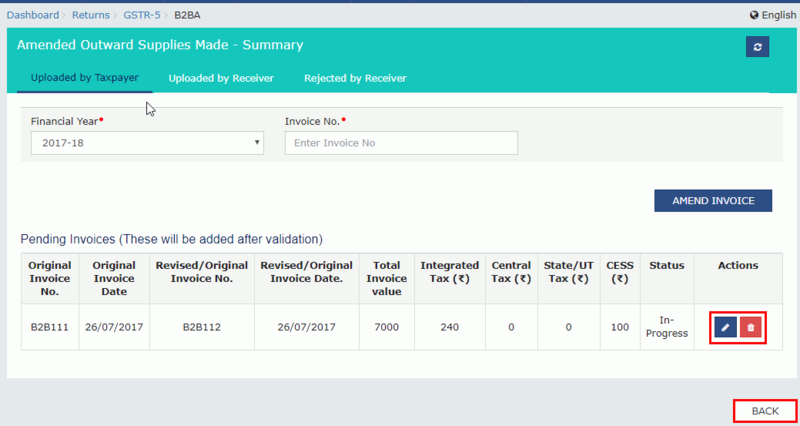 Processed invoices summary page also has the option to delete or edit the entered Invoice. The tile reflects the number of invoices added along with Total Invoice Value, Total Taxable Value and Total Tax Liability. Follow these steps as it remain common for most of the main tiles. Read Highlights to know what is relevant to know under each main tile. All the goods imported into Indian Territory need to be mentioned in this category. Add all the Bill of Entry(BOE) details like port code, date and value in BOE and save. Port code should be 6 alphanumeric characters. Bill of Entry No. should be minimum 3 and maximum 15 digit numeric. The details of supplies made outside of India by Foreign taxpayers to registered persons should be recorded in this head. Basically, All the B2B outward supplies are to be declared here. Details of all the inter- state supplies made by a registered person to a consumer where the invoice value is more than Rs. 2.5 lakh should be recorded here. Here the details of taxable supplies to other unregistered persons/ consumers other than supplies mentioned at Tile 6 is to be entered. 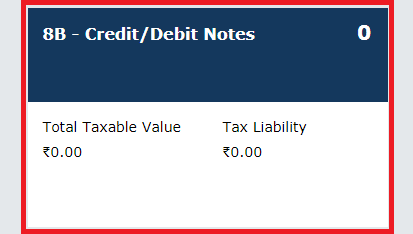 Add here details of credit/ debit notes/refund voucher issued. Details of original invoice also must be entered against each note. The summary page will have the notes appear counterparty-wise. Based on the GSTIN, the counterparty will be recognised. Details of credit/debit notes against B2C large supplies must be declared here. For example, to enter amended details of outward supplies in Tile 8A. Enter Invoice Number and click the AMEND INVOICE button. Make amendments to the details as required. 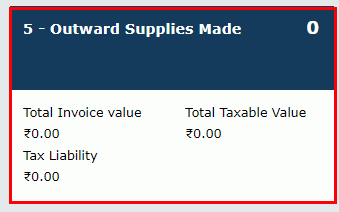 Enter the revised Invoice details and click the SAVE OUTWARD SUPPLIES button to save the invoice details. The tile will reflect the number of invoices added along with Total Invoice Value, Total Liability and Total Taxable Value. Follow these steps as it remain common for most of the Amendment tiles. Read Highlights to know what is relevant to know under each Amendment tile. 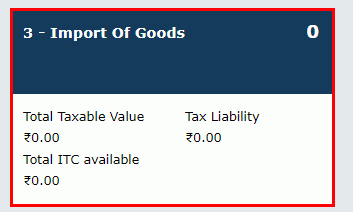 Any amendments to the details reported at tile -3 on import of goods, can be done here. To select the particular BOE to be amended, select financial year, port code, original BOE number. Afterwhich, revise the details and save. To amend details outward supplies to registered persons (including UIN holders)/B2B supplies, this tile is referred. Above steps apply here as it is. Here, details of amendments to outward inter-state supplies to unregistered persons/consumers are entered. To add details of amendments to outward supplies to unregistered persons/consumers other than those mentioned in tile 8A, this tile is used. 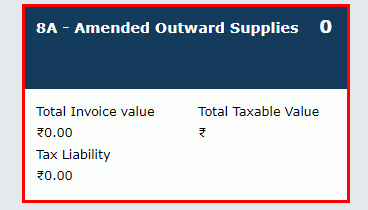 To select the particular details, Choose the FY and the month, select the Place of supply and choose if applicable differential percentage of tax and proceed to amend the value and tax fields. 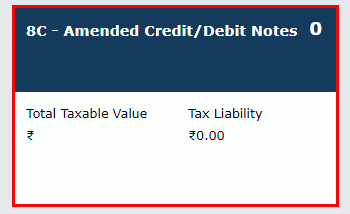 Use this to add details of amendments to Credit/Debit Notes for supplies to registered persons. To select the particular CDN to be amended, choose Financial year and enter the Original CDN number with date. Enter the revised details and save. 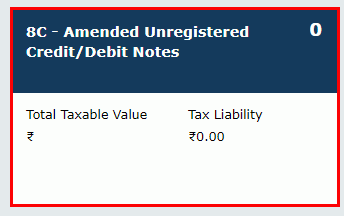 Use this to add details of amendments to Credit/Debit Notes for supplies to unregistered persons/consumers. Enter the CDN number and revise the details. Once you have entered all the details, click the PREVIEW button. 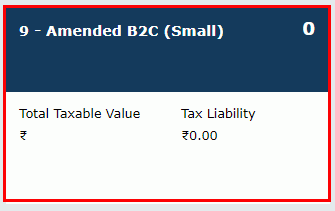 This button will download the draft Summary page of your GSTR-5 for your review. 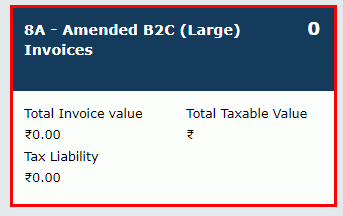 Click the 10A, 10B – Tax Liability tile to view the tax liability details. 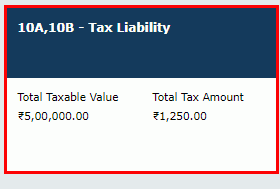 The Tax Liability details are displayed. Click the BACK button to go back to the previous page. Tick mark the declaration stating that you have reviewed the details of preview and the information furnished is correct and you are aware that no changes can be made after submit. Once you click the acknowledgement, the SUBMIT button will be enabled. Click the SUBMIT button in the landing page to submit GSTR-5. 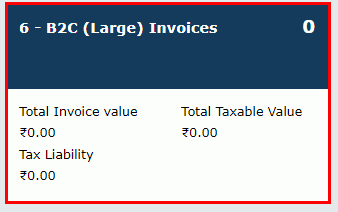 Note: The submit button will freeze the invoices uploaded in GSTR-5 for that particular month. You will be not able to upload any further invoices for that month. Click the PROCEED button to accept the Warning message once again to confirm submission of GSTR-5. Note that no changes can be made to this return after submitting. A success message is displayed at the top of the page. Once you submit the data, data is frozen and you cannot change any fields. Refresh the page. Status of GSTR-5 changes to Submitted after the submission of GSTR-5. Click the PREVIEW button again, to download the submitted GSTR-5 in PDF format. The PDF file generated would now bear watermark of final Form GSTR-5. 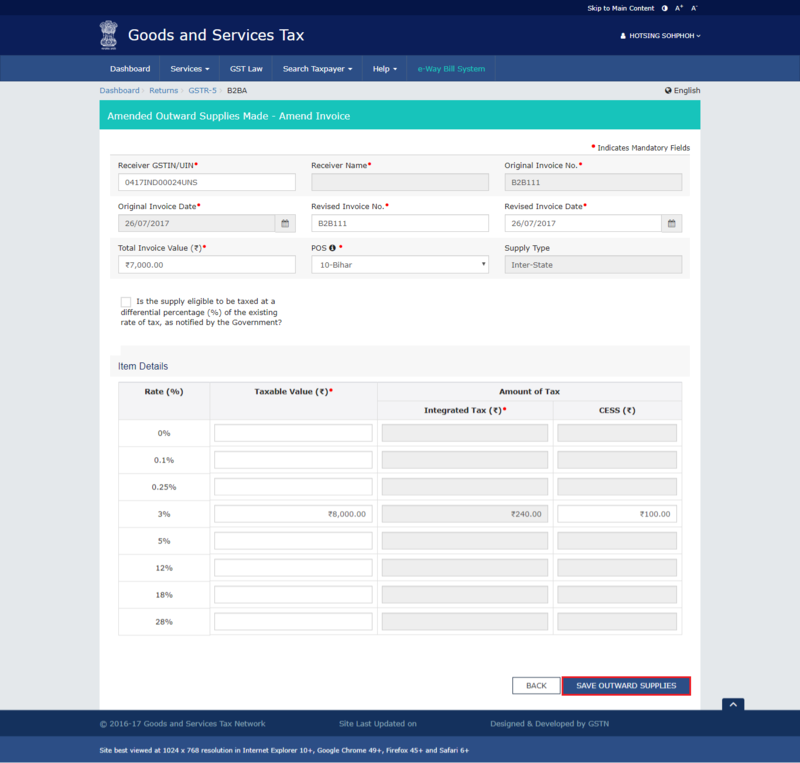 Upon submission, the GST Portal will validate the details of all the Tables filled in Form GSTR-5. In case of invalid data, the appropriate error message would be displayed and the relevant columns shall be highlighted for making rectifications. 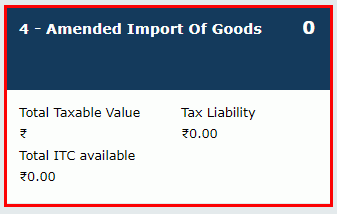 If validation is successful, the GST Portal will compute tax liability and the Input Tax Credit claimed on the import of goods. The Electronic Liability Register and Credit Ledger shall be updated accordingly. 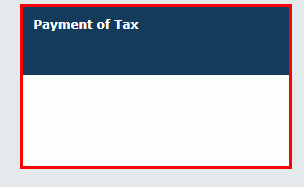 Click the Payment of Tax tile. 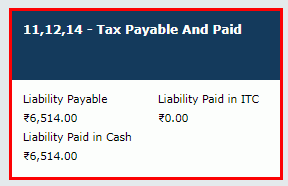 Note: Tax liabilities as declared in the return along with the credits gets updated in the ledgers and reflected in the “Tax payable” column of the payment section. 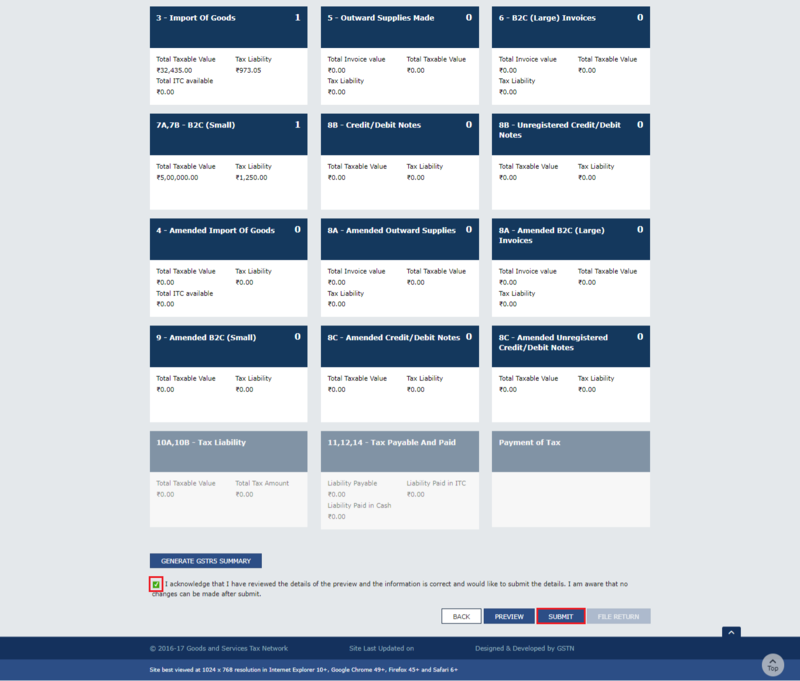 Credits get updated in the credit ledger and the updated balance is available and can be seen while hovering on the said headings of credit in the payment section. 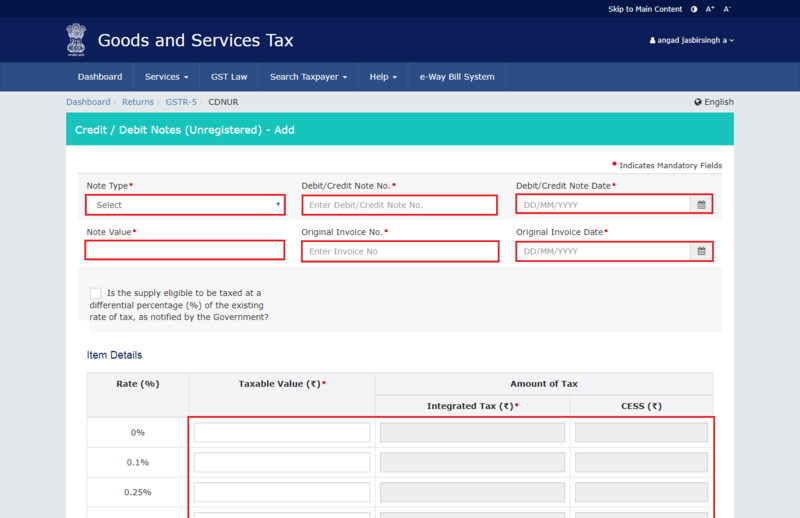 Click the CHECK LEDGER BALANCE button to view the balance available for credit under Integrated Tax, Central Tax, State/UT Tax and Cess. The functionality enables the taxpayers to check the balance before making the payment for the respective minor heads. NOTE: If there is no / less balance in Electronic Cash Ledger, create Challan make payment to update the balance in Electronic Cash Ledger. Click here to refer the FAQs and User Manual on Making Payment. While providing the inputs please ensure the utilization principles for credit are well adhered otherwise system won’t allow for offset of liability. 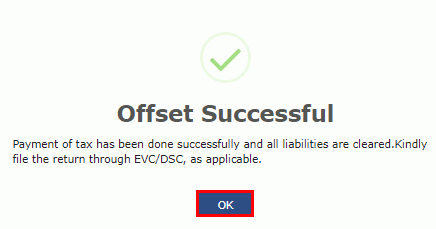 Click the OFFSET LIABILITY button to pay off the liabilities. Note: Partial payment is not allowed. 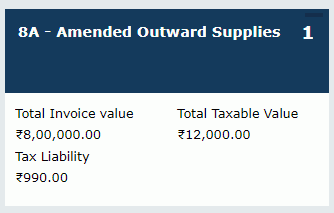 The tax liability is offset and a confirmation message is displayed. Click the OK button. After making payment of tax, the amount of tax paid will be auto-populated in Table 11 along with the debit entry numbers generated on the utilization of Cash balances and ITC. Click the BACK button to go back to the previous page. Click the FILE RETURN button. 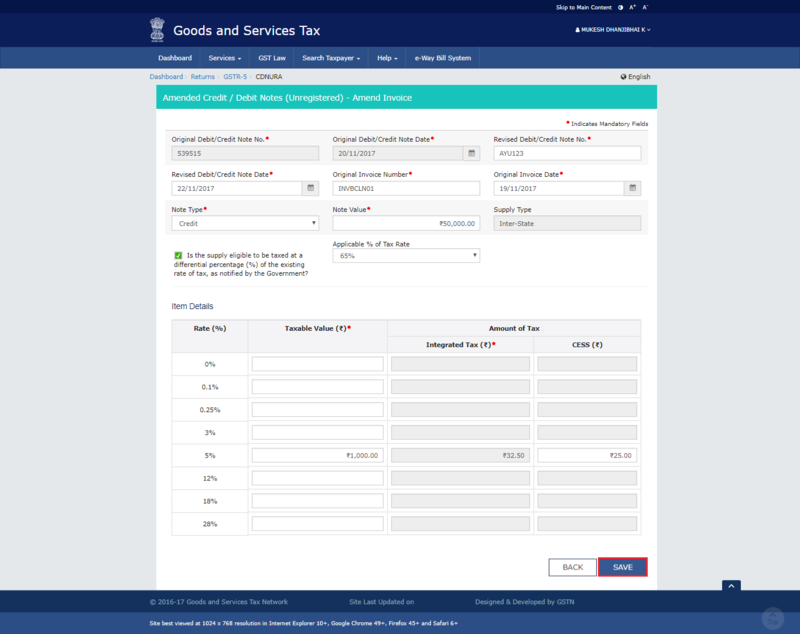 The Returns Filing for GSTR-5 page is displayed. Select the Declaration checkbox. The Authorised Signatory drop-down will appear. Select the authorized signatory from the list. Note: This will enable the two buttons – FILE WITH DSC or FILE WITH EVC. 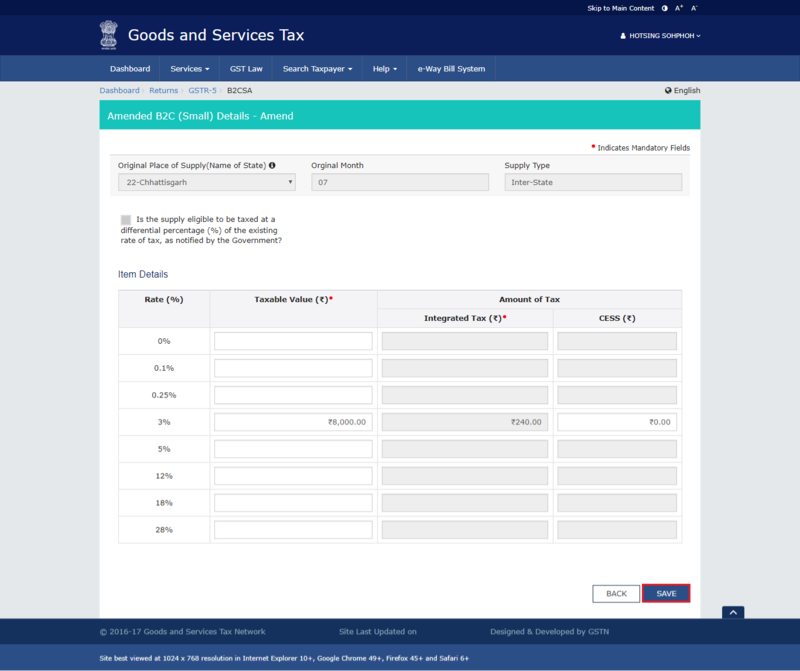 Click the FILE WITH DSC or FILE WITH EVC button to file the FORM GSTR-5. The success message is displayed. Refresh the page and click the BACK button. The status of GSTR-5 changes to Filed. 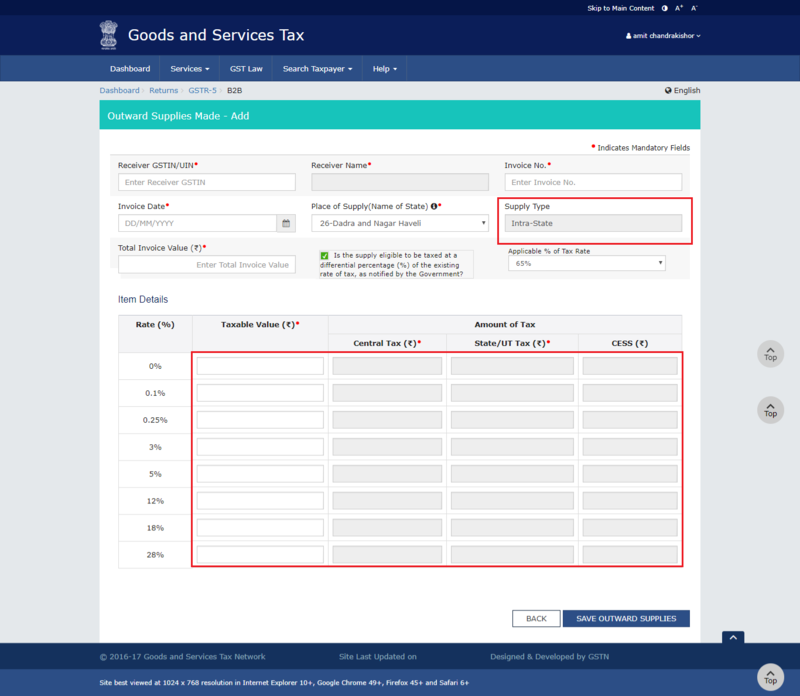 On the File Returns page, select the Financial Year and Return Filing Period (Month) for which you have just filed Form GSTR-5. 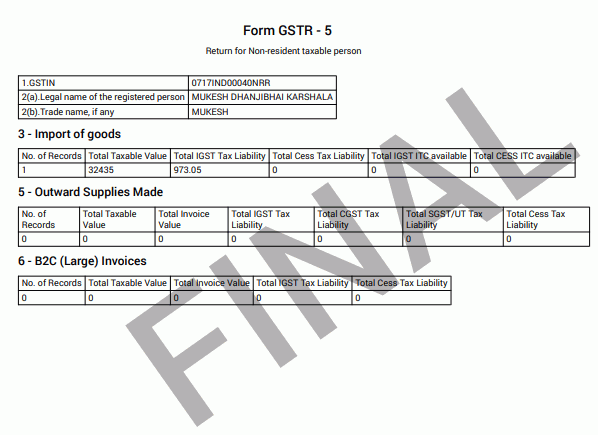 Note: Status of the GSTR-5 return changes to “Filed“.